BPCE, the second largest banking group in France, is seeking revenue growth and expansion with a new €600 million “TEC 2020” digital transformation plan. Through its earlier “Another way to Grow” transformation plan between 2014-2017, BPCE saw an increase of 730,000 active banking customers as well as an increase in the number of clients using its products. Customers equipped with non-life insurance policies also increased by 4% – higher than at end of the 2013 and the bank was able to generate €780 million through its networks by Natixis, Banque Populaire and Caisse d’Epargne. As part of its digital transformation, 83% of its solutions can be subscribed for electronically, with almost 80% of customers using online banking. Its 89C3 digital factory (i.e. an accelerator) is also now up and running. Over the same period, BPCE says it found success in the investment solution market, with close to 6% average annual growth in customer assets in private banking and a €65 billion net flow increase in asset management business. BPCE also became a fully-fledged bancassureur (bancassurance provider), by creating a single insurance platform, and the decision to bring life insurance and property and casualty insurance activities back in-house. Natixis was continually expanded and results of such showed it now earns 48% of its core business net revenues internationally. Collectively, these projects contributed to gains amounting to €863 million between the end of 2013 and the end of September 2017, with a target of €900 million for the end of 2017. Called TEC 2020, BPCE says its plan is to process and support 90% of active clients using its digital spaces, and will see to it that 10% of subscriptions are made via its digital channels. To do this, BPCE will focus on the development of channels for all its brands – focusing on cloud, data management, automation tools and shared platforms. BPCE also says it will raise €600 million a year to achieve these goals. TEC 2020 will also allow BPCE and its subsidiaries to “step up” and provide new advisory services in retail banking, asset management, and corporate and investment banking, as well as providing staff with digital tools. 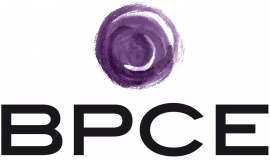 The brands that are part of the BPCE Group are Banques Populaires, Caisses d’Epargne, Crédit Foncier, Banque Palatine and most recently, Fidor. BPCE says by the end of 2020; it’s targeting net revenues more than €25 billion. It will rely on the progress between Natixis, the Banque Populaire and Caisse d’Epargne networks and a cost-cutting programme set to unlock €1 billion of savings on a full-year basis by 2020. Meniga's tech will be implemented at BPCE’s Banques Populaires and Caisses d’Epargne in France.